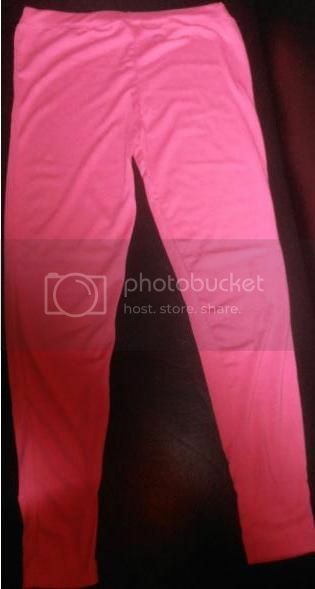 The product below is 9th item that I got in halohalomall.com. There a lots of cartoon character designs to choose but I chose hello kitty. The LED lamp is 6” tall only. It’s cute and easy to carry. It has 180 degree rotation, it is smart constant current control circuit to eliminate flicker and ripple and it contains natural light. Actually this is a rechargeable lamp and the normal charging time of this item is 12 hours. 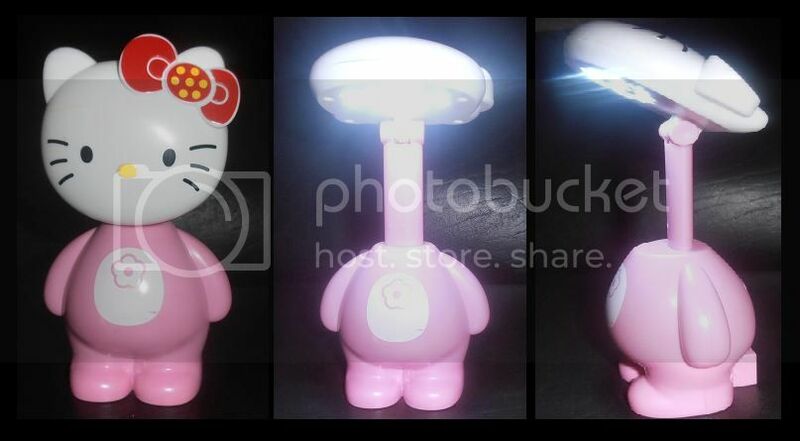 The cost of this hello kitty LED lamp is 218 pesos only plus the shipping fee of 80 pesos. The LED lamp is very important to us especially during brown out. This is the second time to get an item from the halohalomall.com. Halohalomall.com is one of my favorite free online shopping. 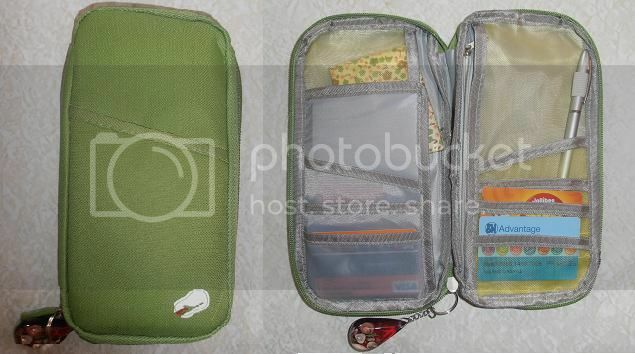 The first item that I got in this halohalomall.com is the green organizer. I was so happy because I got the items at no cost from this website. In everyday that I visit the site they give me 5 points plus the other bonuses points if I will find items inside in this website. Aside from that if I visit for 20 times in a month I also received an additional 100 points, anyway every points I received is equivalent for pesos. Today I have another points earned, so I have plan again to buy another items. I am happy in everyday because I always visit this website and I will do it as my hobbies :-). I want to say thank you halohalomall. com. These days, people anywhere in the world are so busy with their career and family life that the simplest act of shopping can become a burden. And because of this, some of the world’s most popular brands have opened their online stores to cater to those who want to purchase something but are too busy to take the road. Soon more online shopping venues have also opened to meet the demands of online shoppers accessing from different parts of the world. One of the best things about shopping online is that they always seem to have the best prices compared with those displayed at local department stores and malls. And just last year, the popularity of coupon codes also conquered online shopping fever gave even more chance for saving money from the purchases. Whatever you have in mind, you can get it for less and enjoy shopping even more. Online sites featuring these discount tickets such as Coupon Chief coupon codes have long lists of codes that can be keyed-in at checkout to get even more discounts. You can avail of free items, giveaways and free shipping on your orders. These wonderful rebates easily make online shopping even more exciting and who doesn’t love buying the stuff they want for less? So search for coupons first and check out your favorite online stores or brands to see if you can use your codes to save more on your purchases! Because the Christmas is coming I need to prepare Christmas gift to my entire Godchild, niece, nephew, friends, brother and sisters relatives and my parents. My neighbor is dealer of Natasha, Boardwalk and Avon she asked me to order some of her products. I know that the brand I mentioned is much known to all of us. I thought that it’s almost 1 in half months is Christmas day. I also starting to buy Christmas gift, like clothes, toys, accessories and cosmetics. I have a beads accessories and I think that it is a nice gift for my relatives and friends. To my entire Godchild I was ordered to my neighbor such as simple clothes and toys. Everyone is excited on Christmas day and I know that children become more excited because of the gift that will be receiving. Anyway, I want to give the gifts to all but I am not a Santa Clause that who want to request must be issued the gift. I also give the Christmas gift that fit to my budget. 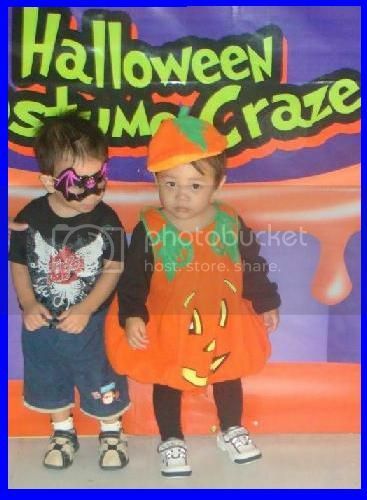 Yesterday my hubby and I went to SM Lucena City to find a Halloween costume for Vince. I want to join him again on trick or treat this coming Halloween in SM Lucena. So, we started to find a nice costume for him. We just started at Toy Kingdom to find costumes. 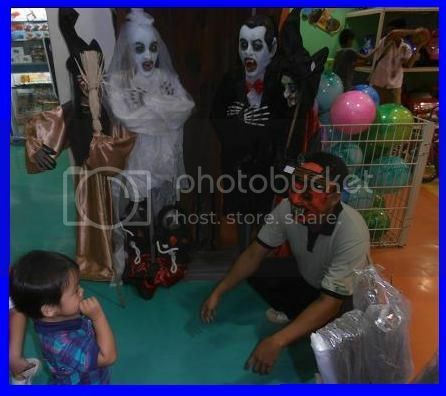 They have many different costumes for Halloween, but we cannot buy it because all of the costumes are scary we will try to find the other store or will wait maybe nextweek to find again the new costume maybe they sell cute costume like animals. Last year the costume of Vince is pumpkin when he joined the trick or treat in SM. He looks very cute to his costume, I want to wear it again for him, but I just worried because it’s petite to him. Anyway, they have a scary Halloween display in Toy Kingdom. My hubby tried to wear the scary mascara, and then Vince never comes to my hubby he feels scared. I took a photo as a simple souvenir. Here is the photo’s taken at Toy Kingdom. Vince is looking scared to my hubby while he is wearing the scary mascara.